Need a garage in Colne to fix the Manual Gearbox on your MG? Save money: Instantly compare MG Manual Gearbox Repairs prices in Colne to find the best deal. Save time: Find and book the best Manual Gearbox Repairs deal quickly and easily with our online booking tool. No upfront registration required! Quick and easy: Simply enter the vehicle registration number of your MG and your post code, compare prices, choose a garage in Colne and book your Manual Gearbox Repairs. Speak to an expert mechanic: If you need to speak to a mechanic about your MG, call one of our experts today on 03304 004439. "An honest garage and good service thank you"
"Very reasonably priced with friendly team who completed the MOT quickly and efficiently." "I was very happy with the price of the service. Picked my car up and brought it back for no extra cost. Will 100% go back for my next work done on my car." 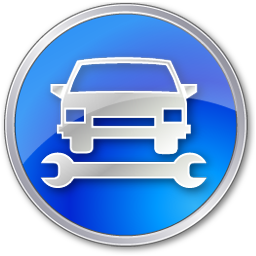 "Garage called to keep me updated during the service and MOT. Everything explained when picking car up and rates are very reasonable"
"Very happy with the service given"
MG is an archetypally British car marque, still manufactured at the historic Longbridge car plant in Birmingham. The history of MG stretches back to its registration in 1924, and the company went on to produce a range of iconic two seater sports cars. The MG Owners Club claims to be the World's largest single marque car club, an indication of the passion MG owners have for their vehicles. In terms of models, some of the best loved vintage cars still seen on British roads are from the MG stable. These include the distinctive MG Midget with its ‘frog eye’ headlights, clean lines and nimble handling, perfect for the UK’s twisty single carriageway country lanes. The Midget was manufactured between 1961 - 1979, and MG continues to evolve and produce good looking cars. The current range includes the MG3, a practical and fun supermini, and the MG6, a contemporary fastback. We all have different needs, and choosing a garage is no different. For some of us, it’s the quality of the overall service which matters most; not just the work that’s done under the bonnet, but the human interaction that comes with it. BookMyGarage allows you to compare Colne garages on everything from their waiting room refreshments or whether having your toddler in tow is going to be a problem, to how clearly the staff can explain the work your car requires.